it will work on psp 1000? ?6.20 Pro B5? Haven't seen the Sticky Threads? I don't see a sticky thread in this forum about adding CTF themes? Where are you talking about? Haven't seen a 6.60 Organ. And no, that one won't work. 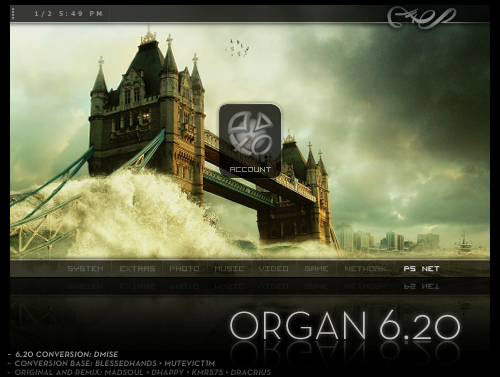 This site has a few 6.60 themes. @ junKie Thanks for the info and fast reply.